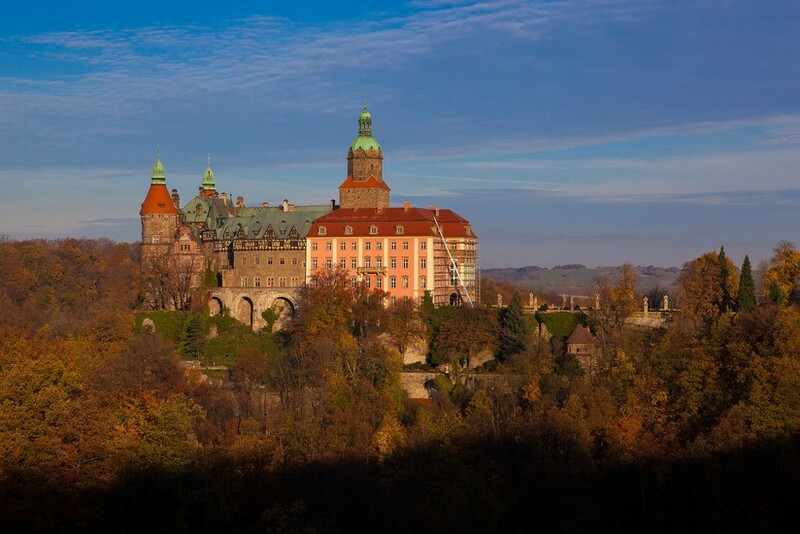 Legend has it that the original castle at Książ was built at the end of the 13th century by Bolko I, Duke of Świdnica and Jawor, but it is best known as the fiefdom of the Hochberg family, who purchased it in 1508 and owned it until 1941. The castle we see today took shape during the 16th century, when the central tower, walls and ramparts were added to the original building of the ducal seat, which was itself greatly extended. 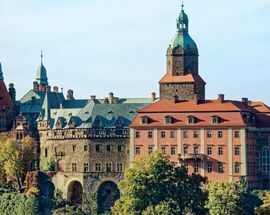 Though the Thirty Years War saw the castle suffer invasion and conquest (first by Saxons, then Swedes), it survived intact under the masterful stewardship of young Hans Heinrich Hochberg (the same Hochberg who donated trees from the Książ forests to build the Świdnica Peace Church), who at war’s end would redefine the castle, making it more of a stately home than a fortress: much of the defensive wall was taken down, and landscaped gardens replaced ramparts. 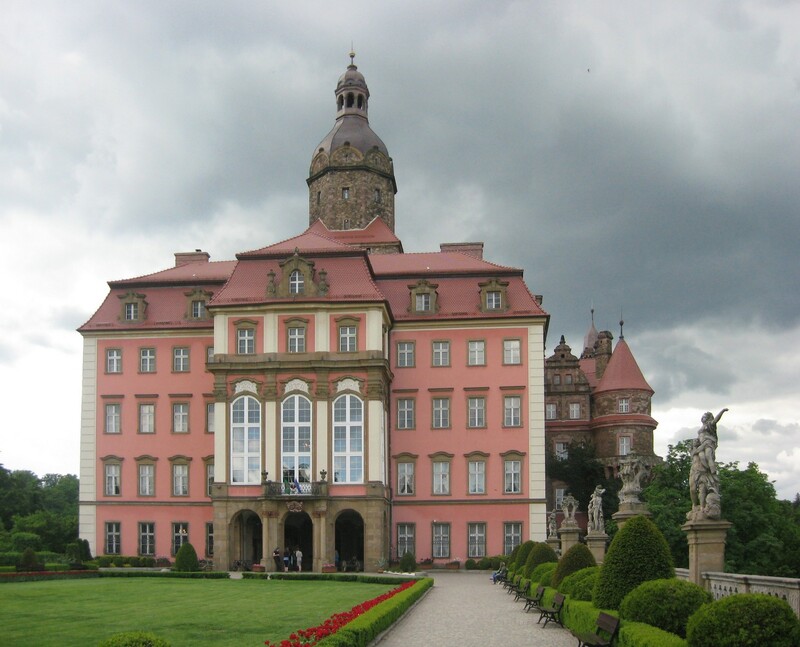 The transformation from Gothic to Baroque was carried out by Conrad Maximilian Hochberg during the early part of the 18th century, when the Baroque east wing (including the Maximilian Hall, the finest part of the castle) was added, the Summer Pavilion erected, the main tower remodelled and the gardens extended. The Neoclassical western and northern wings were added in the 1910s, much to the whims of Maria Teresa Olivia Cornwalis-West, or Daisy, as she was known. An English aristocrat (whose brother would later be stepfather to Winston Churchill), Daisy married Hans Heinrich XV Hochberg in 1891. Debt was to be their – and the castle’s - undoing. 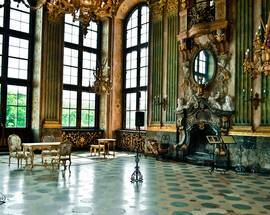 Owing a fortune in tax the German state seized much of the Hochberg estate in 1937. 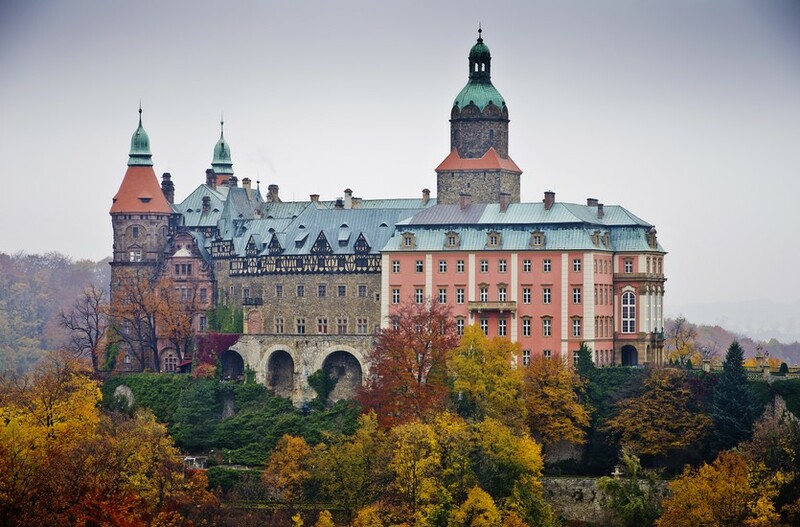 The castle itself was taken in 1941, partly to pay taxes, partly as punishment for the perceived treason of Hans Heinrich and Daisy’s eldest children: one served in the British army, the other in the Polish. 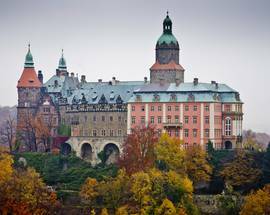 In 1944, Hitler's headquarters were to be moved from Wolf's Lair (in northeastern Poland) to Książ Castle, which would also serve as the new home of the Nazi high command. Under the supervision of Nazi chief architect Albert Speer, several rooms were remodelled in the Neoclassical style favoured by the Reich, and at least two kilometres of hidden tunnels were dug beneath the castle, including a 50m elevator shaft, which connected directly to what was meant to be the Führer's private bedroom. 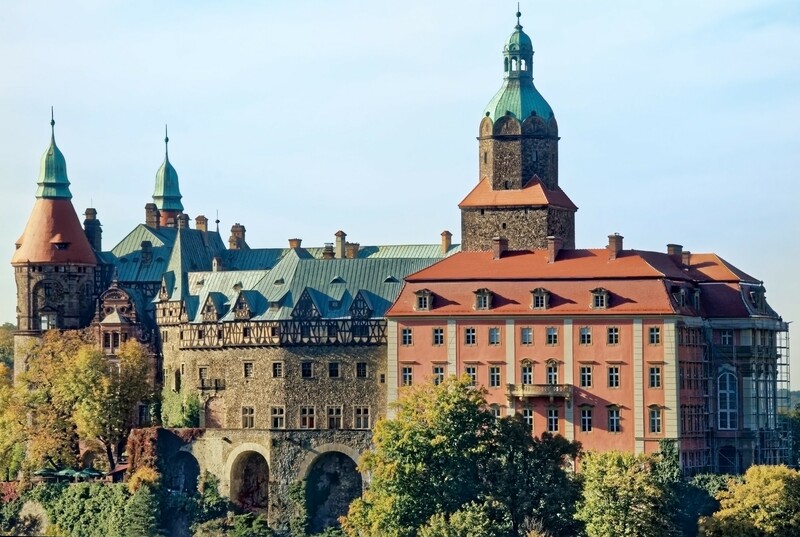 Via these tunnels, Książ Castle was to be incorporated into the 'Riese' Complex - an enormous, top-secret Nazi military compound hidden beneath the surrounding Sowie Mountains. 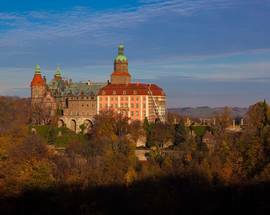 Though the exact nature of this ambitious, extremely costly and ultimately abandoned Nazi project remains one of World War II's greatest mysteries, there is little doubt that the castle at Ksiaż was central to the plans. 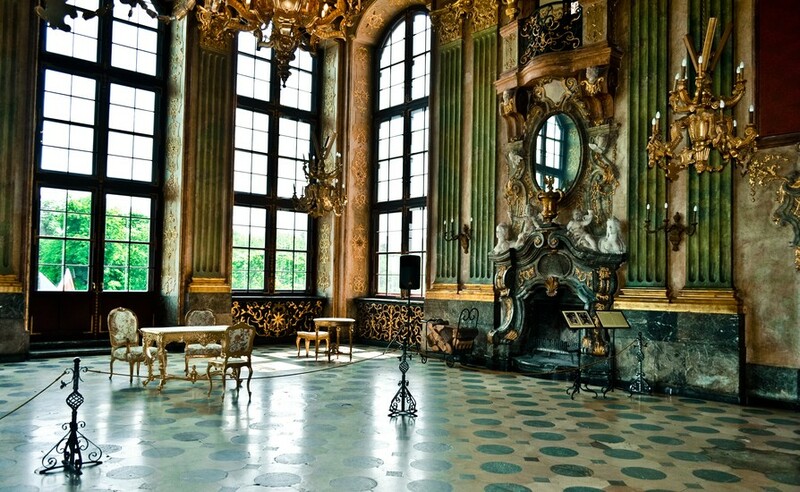 Evacuated in 1945, the castle found itself on Polish territory after the war and lay partly in ruin for many years until a limited renovation in 1956; full rebuilding work did not commence until 1972 and the latest period of restoration was completed only in 2005. 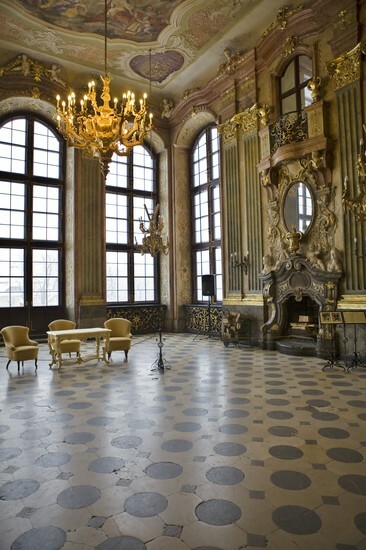 Today much of the castle is open to visitors, including the Maximilian Hall, the Games Salon and the exquisite China Salon, with its delightful murals. To say it has been restored to its former glory, however, would be a bit of a stretch - a certain commie-esque vibe still lingers around the place and criss-crossing groups of visitors are hurried along impatiently by guides rattling off historical details at a mile a minute. Go with the flow and remember that this is an Eastern European experience which is getting rarer to come by. English-language tours are organised only for groups of fifteen or more who call ahead of time, but trilingual (Polish-English-German) information boards scattered around the premises give all the info you’d care about, so just do it solo. The downside is that self-guided tourists theoretically cannot access the photo exhibition on the third floor and underground Project Riese structures (shelter and 96m section of tunnel); our advice is to take advantage of the usual industrial-scale bustle of visitors - groups getting mixed up is rather commonplace- and “accidentally” attach yourself to whomever is heading in the right direction. Weather allowing, a walk around the Książ Landscape Park surrounding the castle could be a good way to round off your visit, and it’s worth noting that you can visit the Daisy-era Palm House with your Książ ticket - located a walkable 2km away from the castle, it’s a somewhat shabby affair, but features a splendidly leafy in-greenhouse cafe. 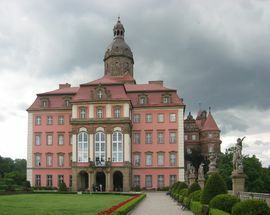 The castle is 70km from Wrocław in Wałbrzych, just past Świdnica. 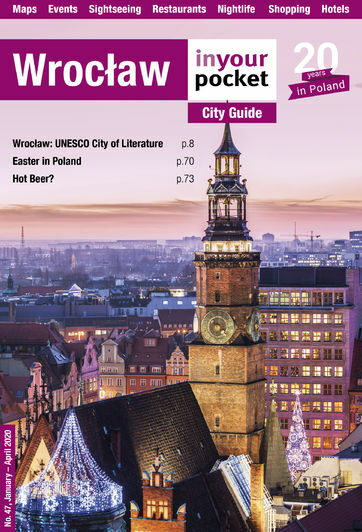 Direct trains run from Wrocław, as well as local trains from Świdnica to Wałbrzych, and you need to take bus No. 8 (towards Książ) from there. The bus stops at the castle gates in the morning and evenings, and about 250 metres away during the day. Open 09:00-18:00. Sat, Sun 09:00-19:00. 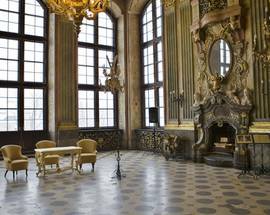 Admission to Książ Castle has been bundled with the Palmiarnia in Wałbrzych and prices vary depending on how much you want to see: Castle, terraces, underground route, and Wałbrzych palm house - 54/42zł; castle, terraces, and palm house - 35/25zł; terraces and palm house only - 21/11zł. רוצה פרטים איך מגיעים לולבז'יך מישראל ואם יד בתי מלון שם.